This is a sponsored post for SheSpeaks/Smithfield at Walmart. All juicy opinions, are my own! A delish glazed ham is usually always on our menu each Christmas. It’s just a family favorite, but I just made this pineapple and brown sugar glazed pork tenderloin, and man……oh man. We always have so much leftover ham – so I think it’s super smart and easier on the wallet – to prepare this dish instead! I grabbed this Smithfield All Natural Pork Tenderloin at Walmart the other day, fully intending on doing a pork BBQ recipe. Then I strolled upon a can of pineapple rings in my cabinet and thought, hmmm….that would be SO good on that pork tenderloin — and that’s exactly what I did! Transfer skillet with pork tenderloin to the oven and continue to cook an additional 30-40 minutes or until meat thermometer reads 150 degrees when inserted into the fattest part of the meat. After tenderloin is in the oven, mix brown sugar, honey, mustard and pineapple juice in a small bowl, and set aside. When the tenderloin has just 2-5 minutes left of cook time, take it out of oven and brush on some of the glaze. (Be sure to reserve some glaze for the pineapples). Turn on the broiler, and bake an additional 2-5 minutes or until the glaze starts to bubble and carmelize. Remove from the oven, and cover lightly with aluminum foil. Let rest for 10-15 minutes before carving. While that’s resting, drain pineapple rings and place on a cookie sheet. Brush on some glaze and pop into the oven while the broiler is still on. Let broil for 2-5 minutes or until the glaze begins to bubble and/or brown. Remove from oven. Watch closely – so they don’t burn! We placed a pineapple ring in between each slice, and then drizzled on a little more glaze to the top. So sooo yummy!! We had some leftovers, and the next day we stuck these little slices of heaven into some soft slider buns and had the perfect lunch! The biggest reasons that I love Smithfield All Natural pork products is because of their commitment to their customers AND their employees. Proudly raising their animals in the USA. Meeting the USDA Process Verified standard. Never adding steroids or hormones to their products. Never adding artificial ingredients to their products. Providing local jobs to community members. Supporting both national and local causes. Partnering and supporting regional farm families across the country. Do you have a favorite pork tenderloin recipe? Let us know…we’d LOVE to hear! Welcome back to our 12 Days of Celebrate Summer posts! I hope you’re loving all the awesome recipes and summery ideas we’ve been sharing! Today we’re sharing this yummy Frozen Pineapple Yogurt Pops (<– click for full recipe!) 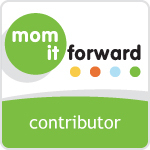 from the gals over at Mom Does Reviews. Yes, they are as amazing as they sound – and even better – they are easy! Super, super, super easy! With as little as five minutes to build and forty-five minutes to freeze, within an hour your family and friends will have a beautiful snack that they will want MORE of! I bet you can’t eat just one! If you’ve missed any of the earlier posts in our 12 Days of Celebrate summer – no worries! You can find them all below! Enjoy! !